These sour rolls can be tart, but the presentation is all sweetness. 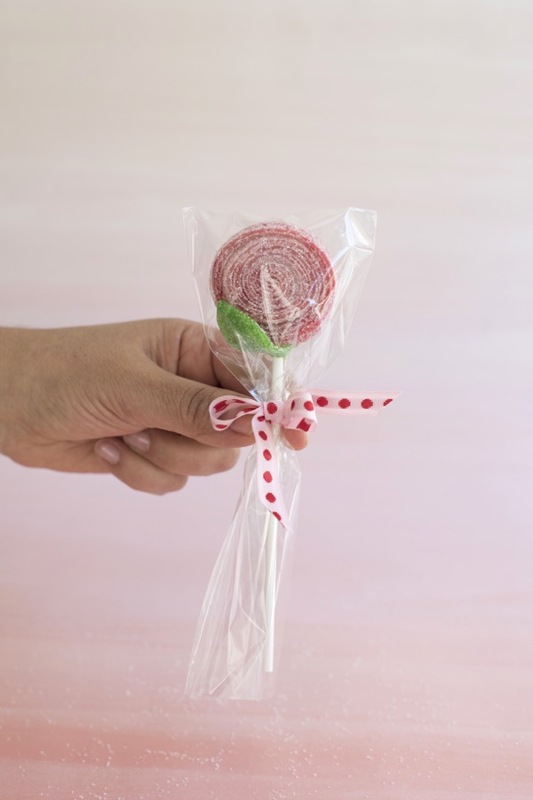 Roll them up, add a leaf, and you’ve got yourself the cutest little lollipop to give as favor for a little girl’s birthday party, a bridal shower, or you could even give these as a small teacher appreciation gift. You could put individual name tags on each, and use as a place card as well! 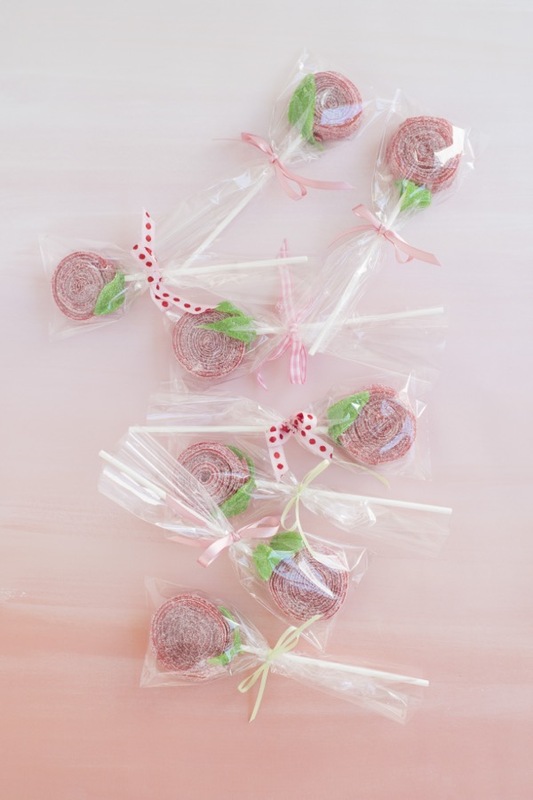 Materials needed: strawberry and green apple sour rolls, sucker sticks, kitchen sheers, 8″ x 3″ cellophane bags, ribbon. 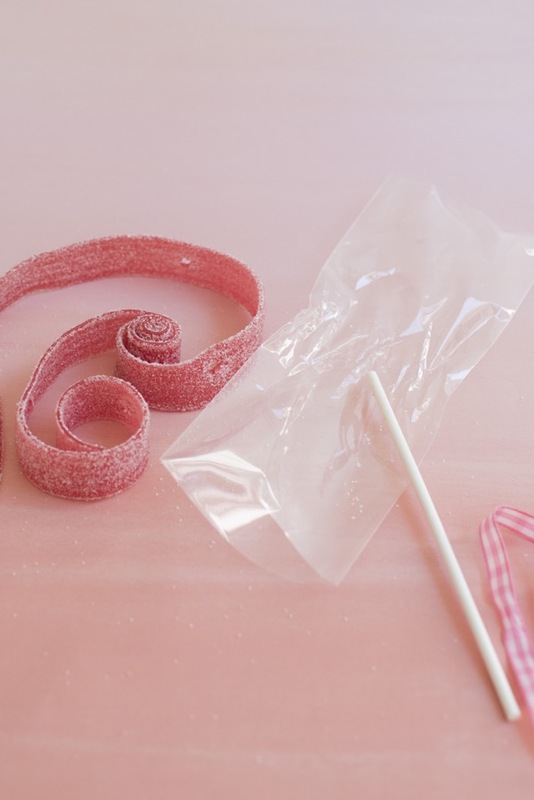 Step 1: Take one full circle of strawberry sour roll, and gently push the point of a kitchen sheer into one side. Step 2: Slowly push a sucker stick into the slice you just made with the kitchen sheers. You may have to use a little pressure, and/or turn the stick like a screwdriver to get it to go in. 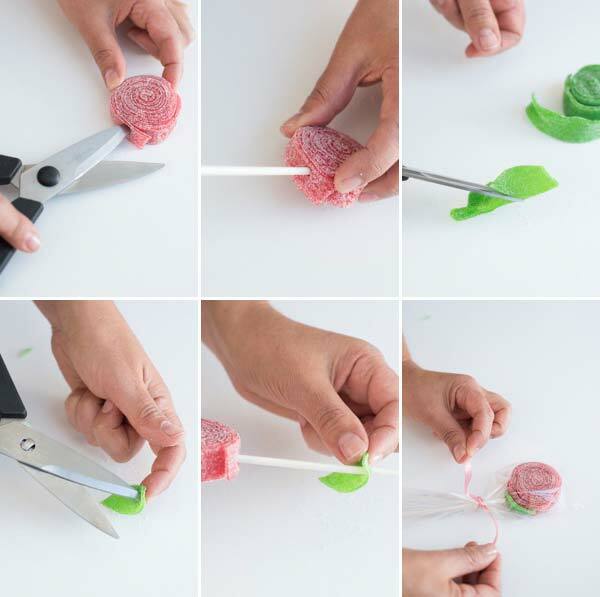 Step 3: Using the kitchen shears, cut a leaf shape out of the green apple sour roll. Step 4: Poke a hole with the shears at the base of the leaf. Step 5: Slip “leaf” onto the stick. Step 6: Slide into cellophane bag, and secure with ribbon. 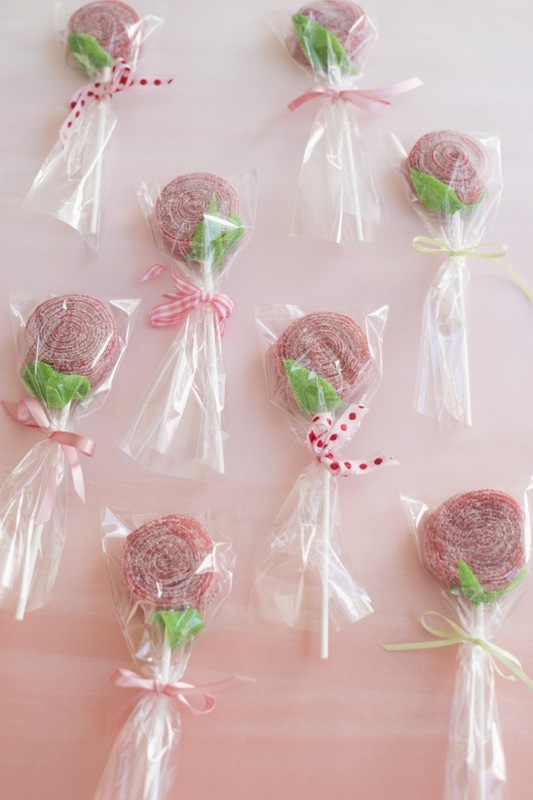 These lollipops are so cute! 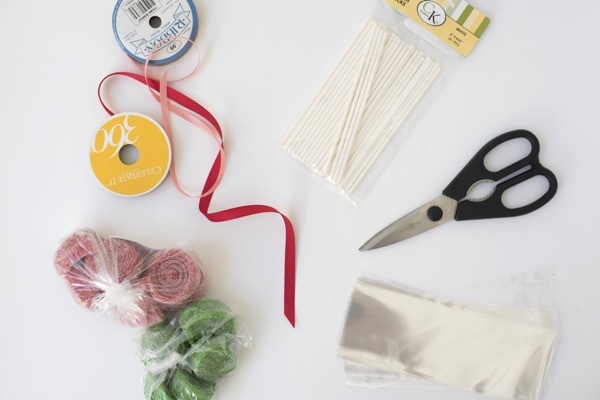 I swear you’re the most talented crafty blogger I know! I love all your party decor and craft ideas!